Theresa is a visual artist with over 30 years experience. After obtaining an MA in Painting at Northern Illinois University, she achieved national recognition as a painter in acrylics. She also developed a business in painted decoration of walls and furnishings, using her extensive knowledge of artists paints, house paints, textures, finishes and techniques. Catherine was born and raised in France and received her Ph.D. in English from the University of Paris. She relocated to the U.S. and taught French at Cornell University, the United Nations, the French Alliance and other language schools. She also works as an English-French translator. 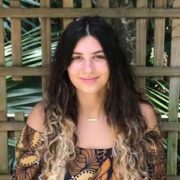 She enjoys working with students of all ages and levels as she introduces them to the joy of speaking another language while they discover a new culture. 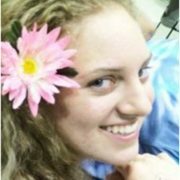 She believes language learning should be fun and practical and that a teacher must patiently guide students as they gain confidence in their abilities. Devan is a life-long dancer, teacher, and choreographer. She grew up in Virginia where she took ballet, pointe, jazz, modern, tap, hip-hop, and ballroom at the Concert Ballet of Virginia, Shuffles Dance Studio, and Valarie Simpson’s School of Dance Arts. Professional training includes Ballet, Jazz, and Modern at the University of South Florida. Along with teaching classes at the Carrollwood Cultural Center, she choreographs for the dance team at St. Leo University and took them to competition in their first year as a program. She is currently in her last year of pharmacy school at the University of South Florida, College of Pharmacy. 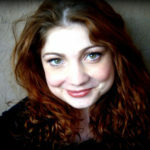 Cassie Brooks is an actress, writer, creator, and educator. Her main goal in every class is to build ensemble and help kids see how important their voices are. You might have seen Cassie locally in "The Iceman Cometh" (Tampa Repertory Theatre) or in American Stage’s reading of "Strait of Gibraltar." Besides educating and acting, she also loves raccoons, gummy bears, and comfortable pants. Katie is an Eckerd College graduate with a B.A. in Theatre Arts. She has been a professional actor and teaching artist, working with students of all ages in the Tampa Bay area for over 10 years with American Stage, Patel Conservatory, and the Carrollwood Cultural Center. Theatre credits include three of American Stage’s School Tour productions; Sideways Stories from Wayside School, Charlotte’s Web, and The Wind in the Willows. Most recent acting credits include Fahrenheit 451, Hay Fever, Taming of the Shrew, Crimes of the Heart, All New People, and The Last Night of Ballyhoo at Jobsite Theatre, Biloxi Blues at Stageworks and Musings of a Postmodern Romantic and The Children’s Hour with Tampa Repertory Theatre. Kimberly is passionate about the benefits of incorporating mindfulness into daily life. A student of the human mind, learning, and well-being for over 25 years, Kimberly received a Master’s Degree in Counseling & Guidance from the University of Durham in England, and a B.S. in Developmental Psychology from Eastern Washington University. In addition to extensive work in the field of mental health, Kimberly spent several years teaching and enjoys providing students with a dynamic experiential learning environment. Kimberly’s ongoing academic endeavors include a post graduate certificate in Integrative Mental Health degree and Master’s degree from USF’s Rehabilitation & Mental Health Counselling Program. With more than twenty-seven years of teaching experience, McCaskill has taught classical ballet throughout the U.S. and Europe. As the Director of Ballet Conservatory of Orange County for more than ten years, he taught open professional class in Los Angeles as well as company class for the San Diego City Ballet. A Professional Ballet dancer for over sixteen years, McCaskill danced in the States with such renowned companies as the Pittsburgh Ballet Theatre, the Chicago City Ballet, and the San Antonio Ballet. 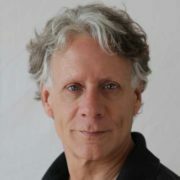 He has guested with numerous companies from the Los Angeles Ballet to the Southern Ballet Theatre in Orlando. While in Europe, Mr. McCaskill had the privilege of dancing with the Hannover Staats Open Ballet; Hannover being The Royal House of Germany. Sharon graduated from USF in 1982 and has lived in Tampa ever since. 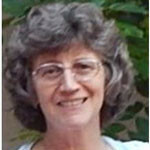 Sharon has been a preschool teacher for 30 years and has loved every moment. She has an Early Child Care Association certificate, and is certified in CPA and first aid. 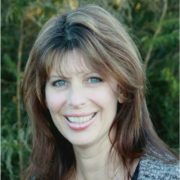 Sharon is also a certified Yoga teacher through Yoga Alliance, a National association for yoga teachers. 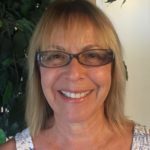 She has been with the Carrollwood Cultural Center since 2009. Gainor is an American artist known for paintings that explore color, design and symbolism. A classically trained artist in the realist tradition, Gainor is a fourth generation Impressionist, although she paints in the Classical style as well as Impressionism. Gainor is a member of North Tampa Arts League, TESA (The Exhibiting Society of Artists), The Egg Tempera Society, and is an honorary member of the New England Monotype Guild. She is also an Art and Letters member of the National League of American Pen Women, and she is listed in Wikipedia. 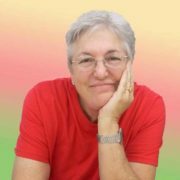 She teaches Painting and Drawing, as well as oil, pastel, and Egg Tempera classes and workshops, and also teaches privately. Jack is the retired Director of Environmental, Health & Safety. 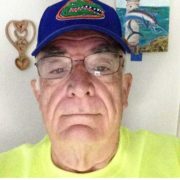 A self taught wood carver, he is the founder / president of Tampa Wood Carvers Club and a member of National Wood Carvers Association & Suncoast Carving Club. 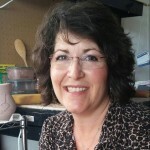 For more than 43 years, Dianne has shared her love of art by teaching students in grades K-12 skills and techniques in media from drawing and painting to ceramics, photography and stained glass. 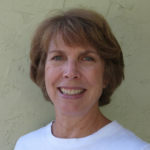 Dianne has taught in the public schools of New York City, New York, Denver, Colorado and Florida. She recently retired from the Hillsborough County Public School System. Dianne has a Bachelor’s and Master’s in Art Education from Queens College, City University of New York. 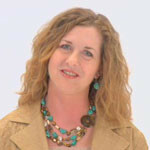 In 2003, Dianne accomplished National Board Certification in the Arts. Miriam attended the University of Florida, graduating with a degree in Interior Design at the College of Architecture. While in college, she took many classes focusing on art and design. Miriam has always been drawn to art and clay, taking classes in drawing and sculpture throughout her life. Several years ago, she returned to her education in wheel thrown pottery under the tutelage of Master Potter, Gilda Butler. 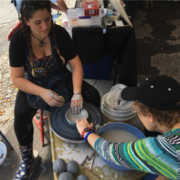 It is here at the Carrollwood Cultural Center that Miriam has rekindled her love of clay and all that it can do. She welcomes the chance to be able to share her love and knowledge of the art of crafting pottery on the potters wheel.